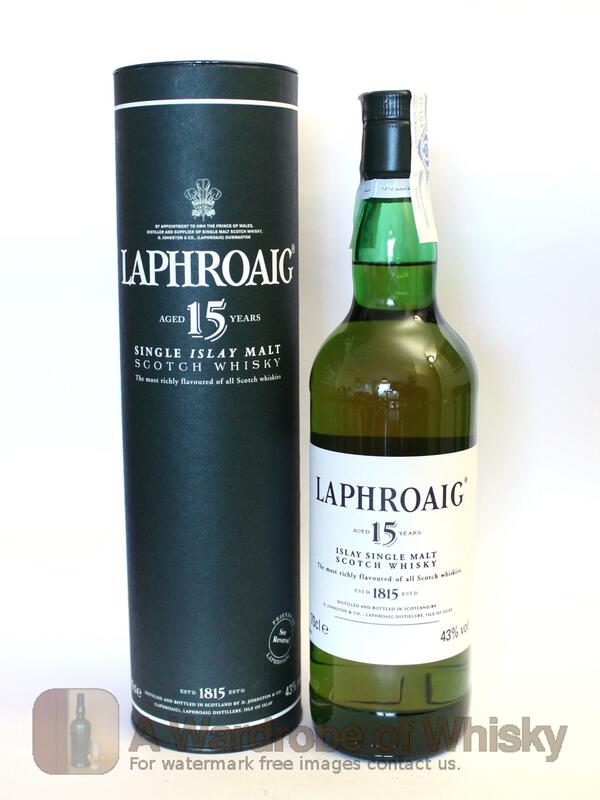 Zesty oak and warm peat smoke top notes, with sweet undertones, reminiscent of fresh nutmeg and toasted almonds. Faintly salty. 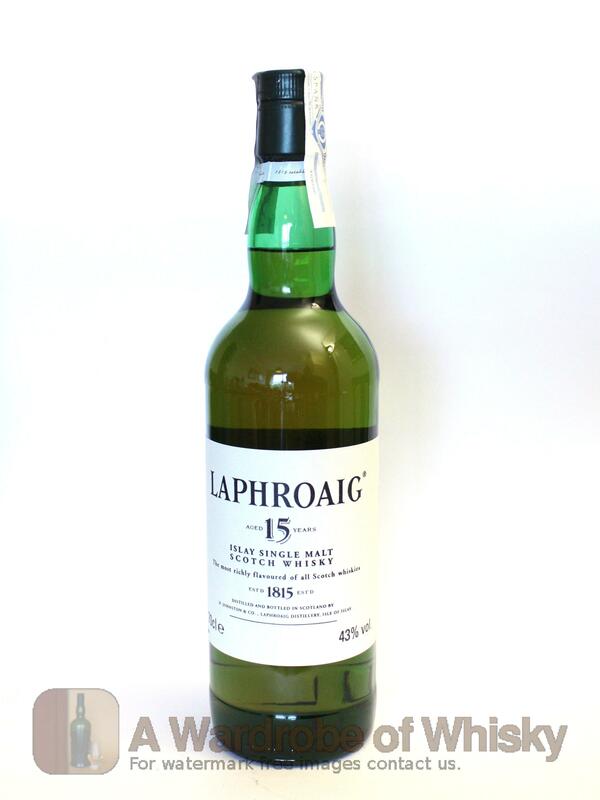 Laphroaig 15yo is a smoother and more elegant elder sibling to the robust 10 year-old. Nose (90): more than average. sweet, peat, iodine, citrus, peaches, wood, coffee. Taste (89): powerful, oily. peat, salt, wood, burnt wood, seaweed, cocoa. Finish (89): average. sweet, peat, pepper. 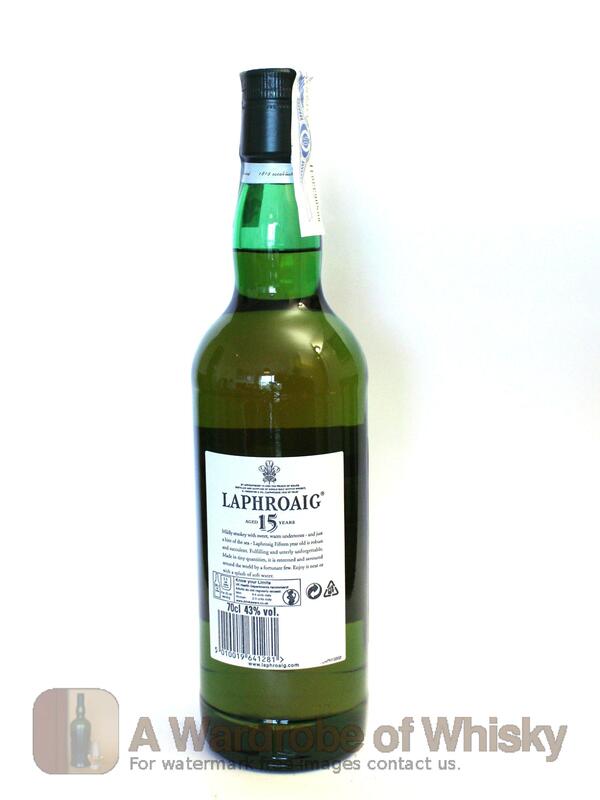 These bottles have been chosen over others because their nose, taste and finish are more similar to Laphroaig 15 year than the rest. Go to Whisky-o-matic page to fine tuning other settings.